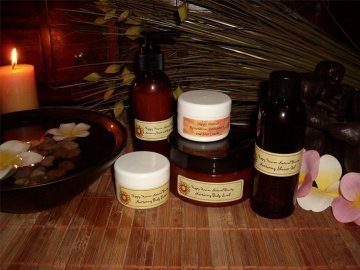 A total facial treatment pack for all skin types including gentle foaming cleanser, rosewater toner, kaolin AHA scrub, clay mask and rosehip oil serum. A deep yet gentle foaming cleanser formulated scent free for naturally clean, refreshed skin. A soothing, cleansing, mildly astringent toner suitable for all skin types. Refreshes skin and brightens complexion for refined, clear, healthy looking skin. The ultimate luxury scrub for face and body, combining the gentle cleansing, exfoliating effects of white kaolin clay with vegan AHA's for smooth skin. Purify acne prone skin, smooth and retexture mature and dry skin, and gently cleanse and soothe sensitive skin. Contains natural ingredients to purfiy, tone, moisturise, refresh, and revitalise the appearance of skin. A wonderful product to promote radiant, healthy looking skin. A wonderfully moisturising, soothing, naturally chemical free treat for the skin which helps prevent the signs of aging, revitalise the appearance of skin and promote skin elasticity. Add to your skin care set from the available products and save!